IDP-3 Dry Scroll Pump (60 liters/min). The Varian IDP-3 Dry Scroll Pump is an innovative, compact, high-performance, oil-free vacuum pump that is suitable for a wide variety of applications. It is the smallest scroll pump made for general vacuum applications, which makes it easy to integrate into OEM systems, and it weighs only 21 pounds (9.5 kg). Yet with a pumping speed of 60 liters/min. and a very low base pressure of 250 millitorr, it is the highest-performing dry pump in its class. SH-110 Dry Scroll Pump (110 liters/min). The Varian SH-110 is a dry, hermetic scroll pump that provides industry-leading features designed for easy integration into original-equipment manufacturer (OEM) systems. This single-stage pump produces a pumping speed of 110 L/m (on 60 Hz power) and achieves an ultimate pressure of 50 mtorr (0.07 mbar) in a compact package that is also ideally suited to end-user applications. The SH-110 pump conforms with CE, CSA, and Semi S2-0200 requirements. TriScroll 300 Pump (250 liters/min). 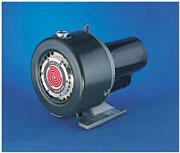 TriScroll dry primary pumps are multi-stage dry vacuum pumps designed and manufactured by Varian for high reliability. 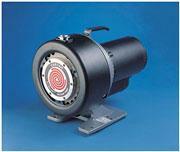 The TriScroll pumps produce oil-free vacuum at high speed and low ultimate pressure. The unique, patented TriScroll features proven reliability and durability, leading to superior cost of ownership and consistent performance. TriScroll 600 Pump (500 liters/min). The unique patented TriScroll features provide proven reliability and durability leading to superior cost of ownership and consistent performance.